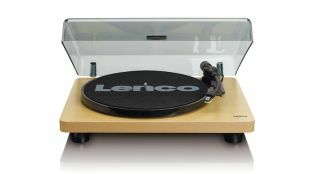 Lenco announces L-30 and L-400 budget USB turntables | What Hi-Fi? In our experience, Lenco’s turntables have been rather a mixed bag. But we liked the £120 L-85, so are optimistic for the brand’s latest budget offerings: L-30 (£100) and L-400 (£200). Both feature USB outputs for digitising your vinyl and, more typically, run both 33rpm and 45rpm speeds. The L-30 (pictured) is a semi-automatic belt-drive deck with line-level output - so it can plug straight into an amplifier or active speakers. It's available in a choice of wood or black finishes. The L-400, meanwhile, uses a direct-drive mechanism and features a built-in switchable pre-amplifier and an Audio Technica moving magnet cartridge.